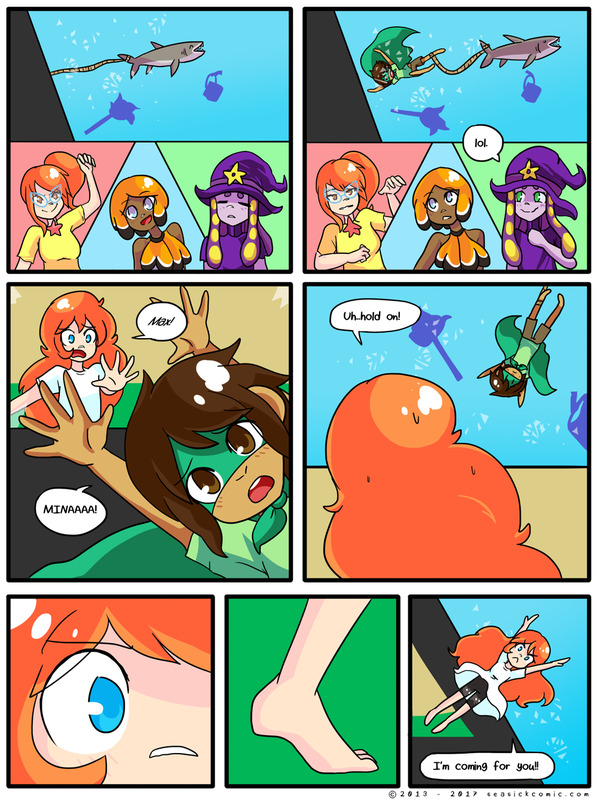 chapter-one-page-sixty-nine – Seasick – The Underwater Adventure Comic. Updates Fridays! on March 27, 2017 and modified on March 27, 2017. Thanks for reading today’s page of Seasick!! We’re quickly approaching the end of Chapter One, which is just amazing! We hope you enjoy the crazy conclusion, and stick with us for what’s to come in the future!